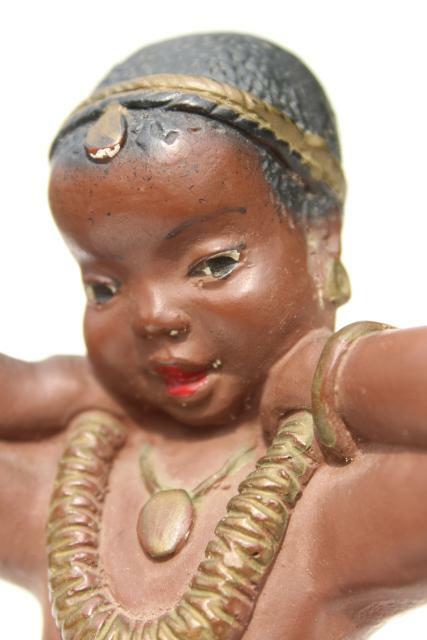 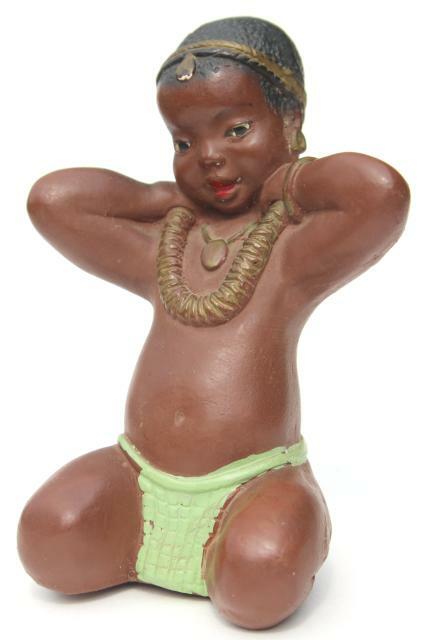 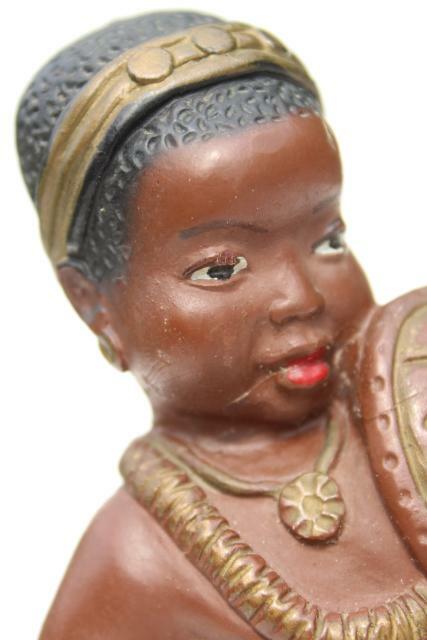 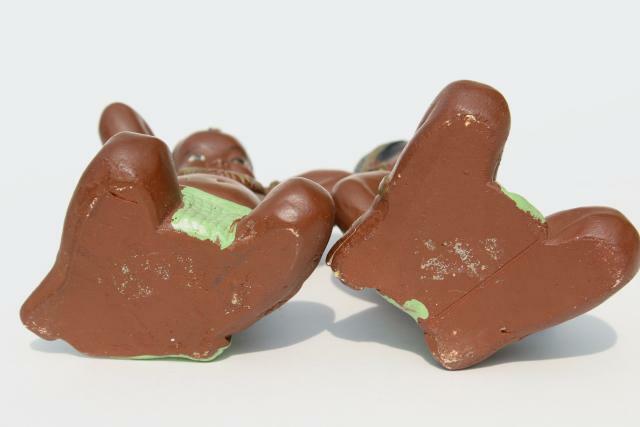 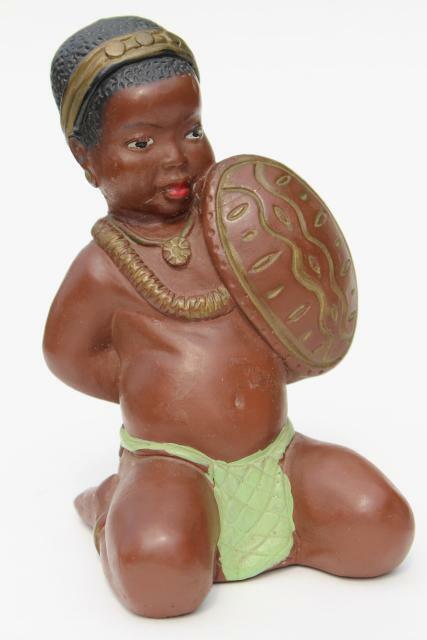 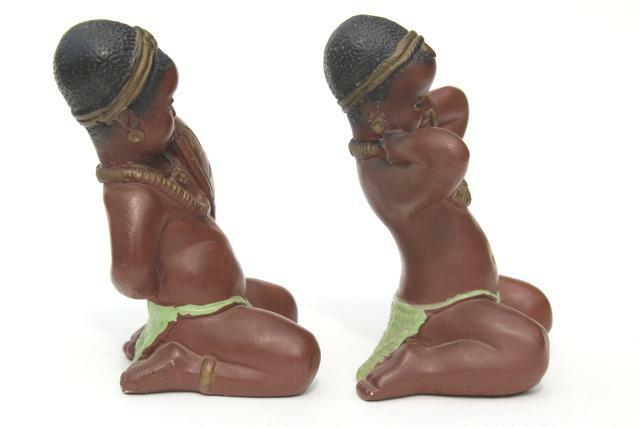 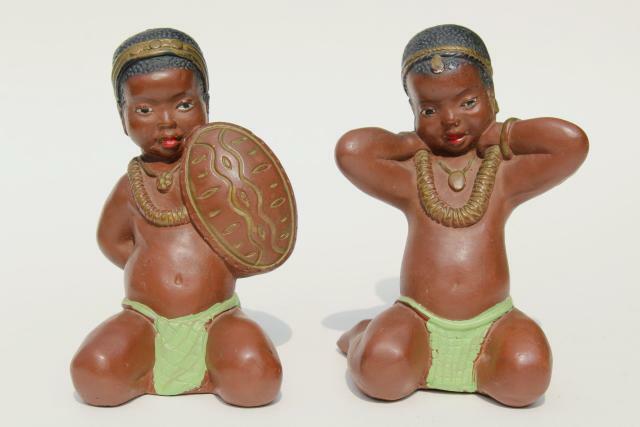 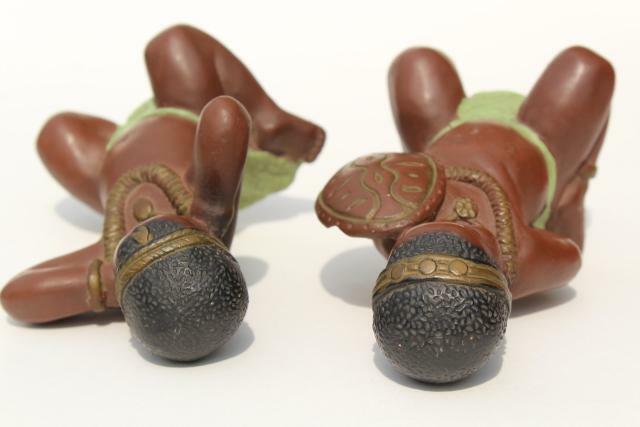 mid-century vintage chalkware figures, black African children figurines, very retro! 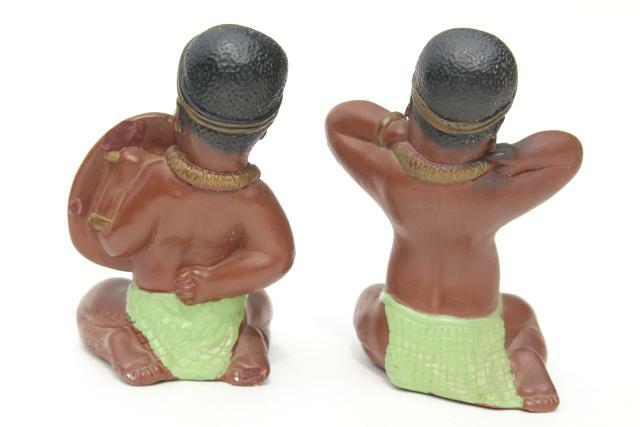 1950s vintage hand painted chalkware figures, about 5 1/2" tall. 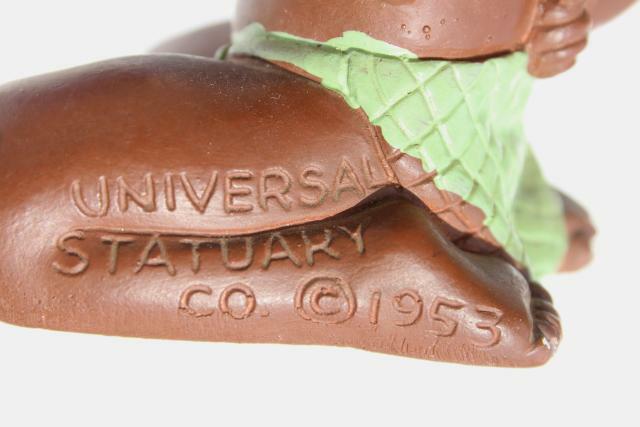 These are nice and clean overall, just a few little dings and paint chips.